Jillian Banks, simply known as BANKS is more than a pretty face. Her style mirrors her music - dark, sleek and brooding. She calls it hypnotic-fusion and her songs, do indeed, emote a sense of sharp tranquility. Such is the case with her new single she just dropped today called "Drowning." Banks' lyrical prowess comes to a head again in the new single that showcases her knack for writing emotional stories that cut deep. In this case, she sings of a relationship that is built on deceit, abuse and lies and how those combinations, once it goes down that path, can sink a relationship. The song is off her debut album Goddess which is scheduled to be released on September 9th via Harvest Records. 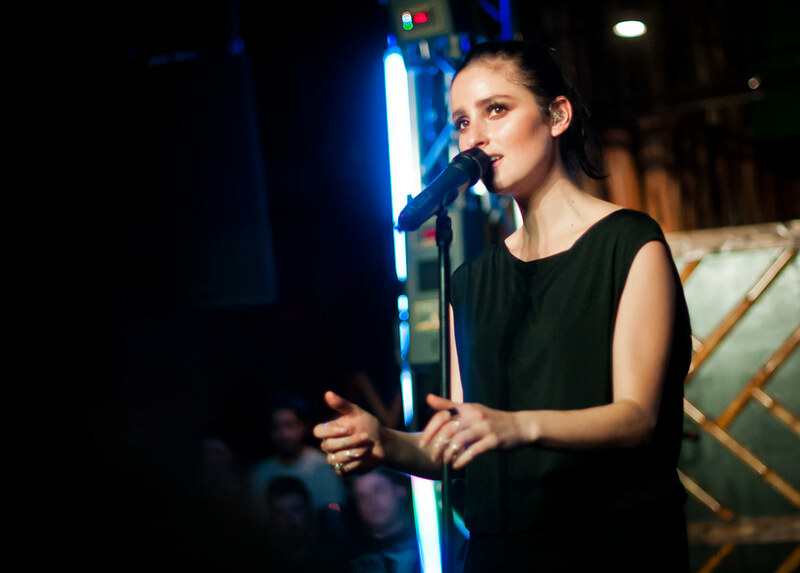 This weekend, Banks begins her first headlining tour of North America which starts this Saturday in Vancouver, runs down the coast with stops at Los Angeles' El Rey Theatre next Thursday and ends at Bonnaroo on June 12th.